The Virgin group founder and billionaire entrepreneur shares how experience will disrupt the mortgage industry. Billionaire Richard Branson has entered the U.S. mortgage market investing in California based mortgage startup Loansnap. The timing couldn’t be better for Branson to enter as mortgage rates recently hit a 10-month and the company is fresh off raising an additional $4.7 million in a funding round headed by Thomvest Ventures, bringing its total funds raised to date to a whopping $17 million. In the following post, Branson and his team at Loansnap explain why the company seems to be catching on fire, and how they are changing the way buyers determine the best time to invest in a home. Disrupting a saturated industry might sound like a bad idea for some. Richard (Branson) tells us what gave him the urge to enter into a startup doing business in the mortgage industry, an industry known to be full of legacy companies making it an oversaturated and highly competitive market. “I love to invest in companies that make people’s lives better and LoanSnap is exactly that. Its technology allows consumers to take control of their financial lives and will shake up the mortgage market. The strong founding team combined with its tech and a dedication to helping consumers will be a winning formula,” said Branson. Next, I wanted to understand what makes Loansnap different from other mortgage companies out there. Traditional mortgage companies often focus solely on optimizing for interest rates without considering other factors choosing to sell purely based on the lowest rate. Where as, Loansnap uses cutting edge AI technology to analyze your complete financial situation in seconds. Loansnap’s CEO, Karl Jacob explains the difference and how his product will impact the market, “We are on a mission to help people enjoy peace of mind and financial stability. We achieve this by delivering a technology that can analyze thousands of scenarios and see your entire financial picture in real time and then offer simple mortgage options that fit your needs today and into the future,” said Jacob. The AI-powered app is leaving the days of confusing paperwork and long pre-approval times behind, with their app you can use an app to get a mortgage quote from the convenience of your home in less than 5 min. Loansnap has been especially appealing to home buyers that want a better way of doing mortgages. 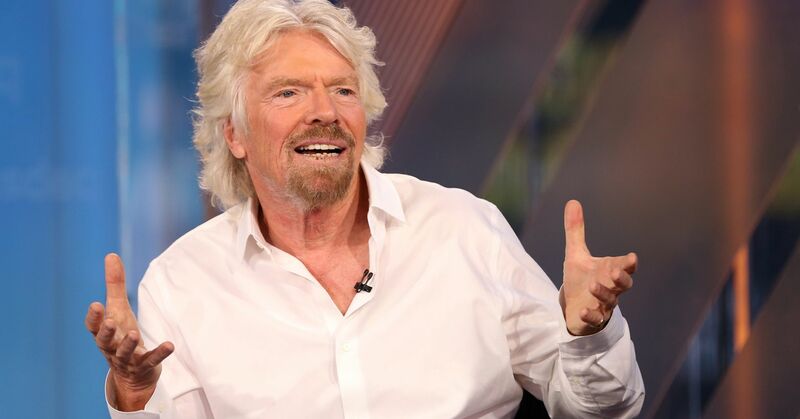 Richard Branson sees the introduction of new AI-based technology into an industry that has been slow to innovate as being a major success factor for Loansnap. He believes in the future people will forget their bank and use AI to find the best mortgage. Over his prolific career as an entrepreneur, Branson has consistently invested in startups that he feels will provide a superior customer experience to the legacy businesses in the industry that have become stale and boring.